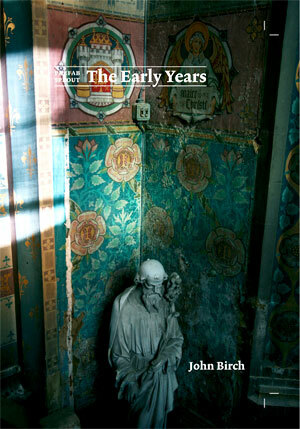 John Birch, number one fan of the Sprouts, was the first to write a book about the Sprouts: Myths, Melodies & Metaphysics: Paddy McAloon's Prefab Sprout and now he has launched a new book: Prefab Sprout - The Early Years with 228 pages. The book will actually be released on August 26th, 2017 but you can pre-order the book here: Prefab Sprout Books. In order to give you an idea of the contents of the book, here is a general description. The book includes valuable information from the early era of the band and many photos. This will the first in a trilogy about the Spouts. Although this book cannot be claimed to be an official biography of Paddy McAloon and Prefab Sprout, Paddy and his manager Keith Armstrong graciously opened all the doors for the author's research that he ever could have hoped for. The book draws upon a vast array of research materials compiled over a three year period: 64 interviews, 46 hours of audio memoirs, over 150,000 words of written memoirs and testimonials, exclusive studio photography, back stage and on the road photographs, access to hours of rare unpublished demos and songs, and over 12 hours of exclusive, unpublished interviews with Paddy McAloon himself, courtesy of some of Europe's finest journalists, including the legendary Mat Snow. 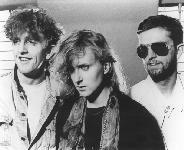 Lengthy, honest and insightful interviews with the key players in McAloon's career including Kitchenware Records Directors Keith Armstrong and Paul Ludford, the legendary CBS/Sony A&R guru Muff Winwood, Thomas Dolby (the fifth Sprout), Calum Malcolm, friend and Prefab Sprout archivist David Brewis, and Neil Conti have all made for the most in-depth research on Paddy McAloon and Prefab Sprout to date. Prefab Sprout: The Early Years breaks down the story of Paddy McAloon's Prefab Sprout from early on in the band's conception in autumn 1977, through to their first official album release, Swoon.